It’s a sellers’ market, but where are the sellers? A home was marked for sale in Natick in April. 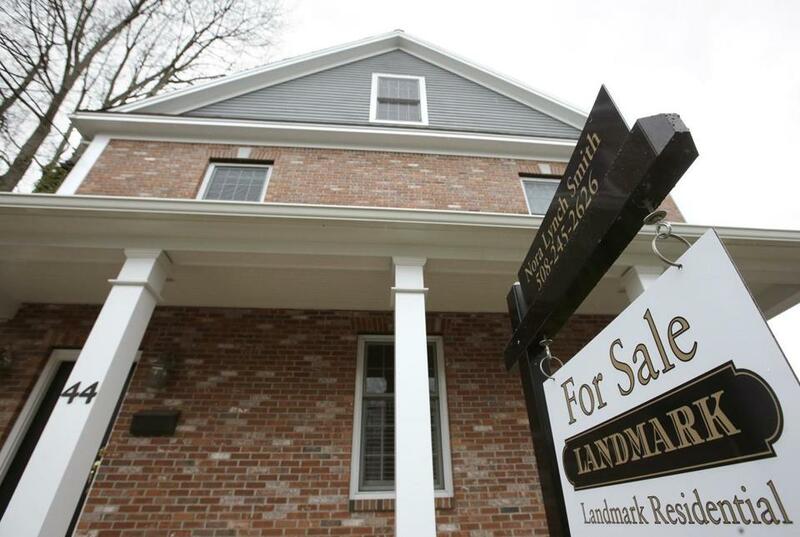 Massachusetts home prices reached record highs last month. So why aren’t more people selling? The supply of single-family homes and condominiums in the state — particularly in the Boston area — continues to be stubbornly low, mostly because potential sellers appear stuck in a frustrating cycle — selling might be easy, but buying a new place to live in a market with overcrowded open houses and bidding wars is discouraging. That’s keeping would-be sellers on the sidelines. In May, median prices for single-family homes reached a new peak of $385,000, a jump of 9.2 percent compared with May 2016, according to the Massachusetts Association of Realtors. 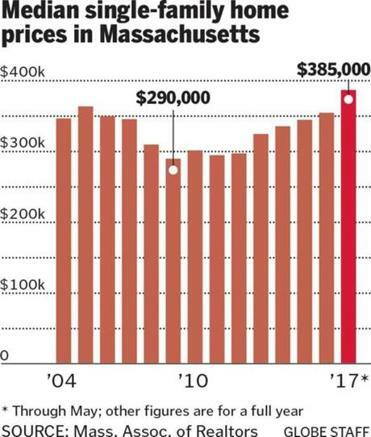 In Greater Boston, last month’s numbers were even more dramatic — single-family homes hit a record median sale price of $600,000, 13.1 percent more than in May 2016, according to the Greater Boston Association of Realtors. But sales volume was off 2.3 percent statewide compared with last year, and down 2.2 percent in 64 cities and towns in Greater Boston. There were similar price and sales trends in the condominium market. The latest sales numbers extend a trend that began years ago. In May — traditionally one of the busiest months of the year for real estate activity — there were just 3,876 houses on the market in Massachusetts, according to MAR data. Compare that with May 2006 — the last time prices were this high — when there were more than 18,000 homes available. Because of the sparse inventory, most homes that come on the market get snapped up quickly, with some buyers paying 10 percent to 20 percent over asking price. While bidding competitions may seem like a motivator for would-be sellers, the bidding frenzy has created another problem — sellers with unrealistic expectations about their home’s worth, Yorkis said. David McCarthy of Keller Williams Realty in Boston calls the state’s superheated real estate environment “a perfect storm.” Jobs are driving population growth, particularly in the Boston area, he said, and that’s driving up housing prices and affecting inventory. In the meantime, suburban empty-nesters are discouraged by a market in which small homes closer to the city cost as much — or more —than the property they’re considering selling. That financial reality prompts many to stay put, McCarthy said. To help ease the gridlock, McCarthy said, some real estate agents have begun suggesting to sellers that they consider temporarily renting instead of trying to immediately find a new home. Both McCarthy and Yorkis said there is no relief in sight. They believe high prices and low inventory will define the region’s real estate market for the foreseeable future. State legislators and local officials, especially in the suburbs, Yorkis said, should prioritize pushing for zoning changes that would make it easier to build multifamily dwellings and other types of creative housing. A report released this week by the National Multifamily Housing Council and National Apartment Association ranked Boston as the second-toughest metro area in the country in which to build apartments and condos. Tim Logan of the Globe staff contributed to this report. Katheleen Conti can be reached at kconti@globe.com. Follow her on Twitter @GlobeKConti.